5 lb Telescopic Magnetic Pick-Up Tool Black | BUDK.com - Knives & Swords At The Lowest Prices! 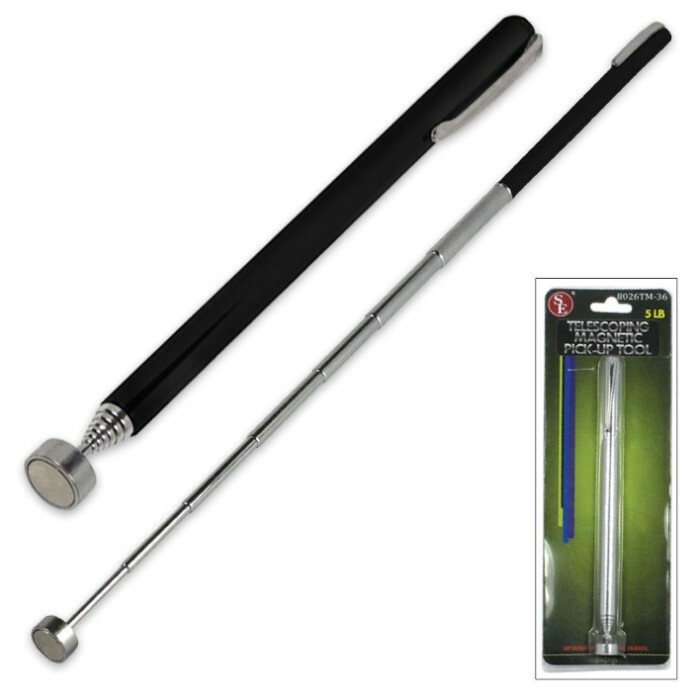 This Pick-Up Tool has magnet strength to pick-up things up to 5 pounds in weight! Carry this tool with you, in your pocket with the included metal pocket clip. Collapsed, this pick-up tool only measures 5 1/4" long but extended it is 24" long! Say goodbye to tired, wore out back muscles. Just pull out this pick-up tool and save yourself the trouble! WON'T pick up 5 pounds like the ad says and it's so cheap and thin that it breaks very easily.